So you’ve spent thousands on tickets, hundreds on a hotel room, and now you need to get to the Super Bowl, America’s most-watched annual sporting event. Of course you could fly commercial for another couple hundred dollars, but you’re already in this deep. 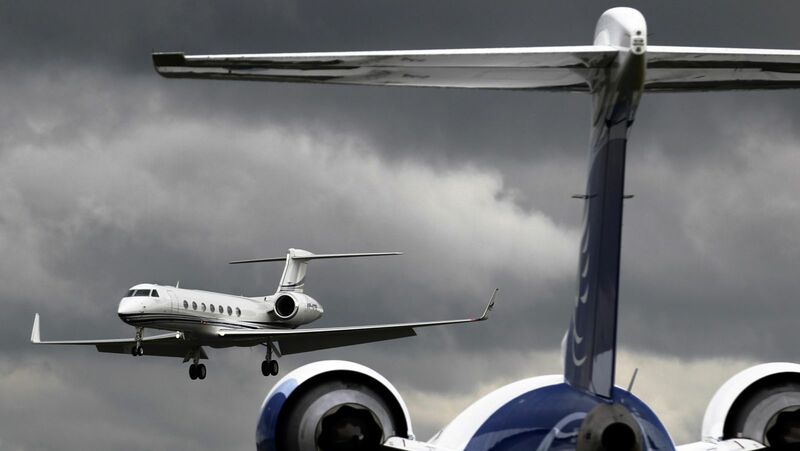 So why not really splurge and fly private to the game? Several airports in the San Francisco area are setting aside more than 100 parking spots apiece for private aircraft in town for the game. News helicopter crews were told to expect 1,000 extra jets navigating the skies over the Bay Area this week. And at more than a dozen airports in the region, reservations are required for takeoffs and landings between the Thursday before the game (Feb. 4) and the Monday after (Feb. 8). The flights will drop off and pick up officials, sponsors, and fans alike. And while past years have shown that their arrival is varied, departure is more consistent, according to a Quartz analysis of data from the US Federal Aviation Administration. 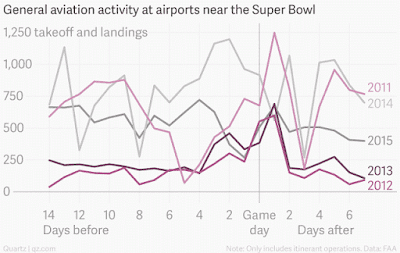 The biggest day to fly private is typically the day after the Super Bowl. 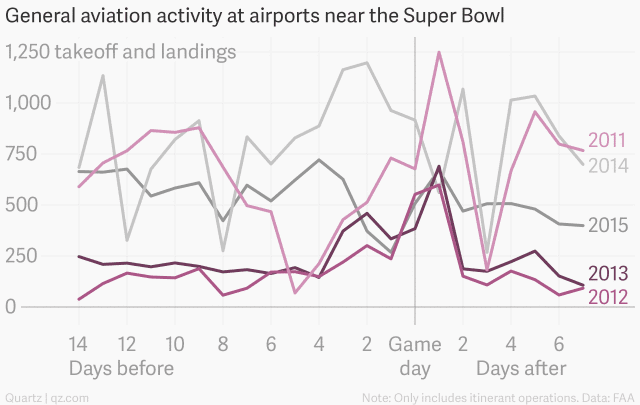 That was the busiest day on either side of the big game in 2011, 2012, and 2013. In 2014, however, when the Super Bowl was in East Rutherford, New Jersey, near New York City, the Monday after the game turned out to be the least popular day to fly private during Super Bowl week.